Imagine discussing the meaning of life in the very places Socrates, Plato and Aristotle pondered the same thing, then heading to the Plaka for some souvlaki. Swim in the Agean Sea, windsurf off the Island of Naxos and catch another sunset at the foot of the Temple of Zeus. Don’t be a tourist. Be a traveler! Quiddity Tours was created by Greg Woodruff and Lisa Phillips, both life-long educators, travelers and perpetually curious folks. Between the two of them, they've 40+ years of content design and teaching experience, both in and outside of the classroom. 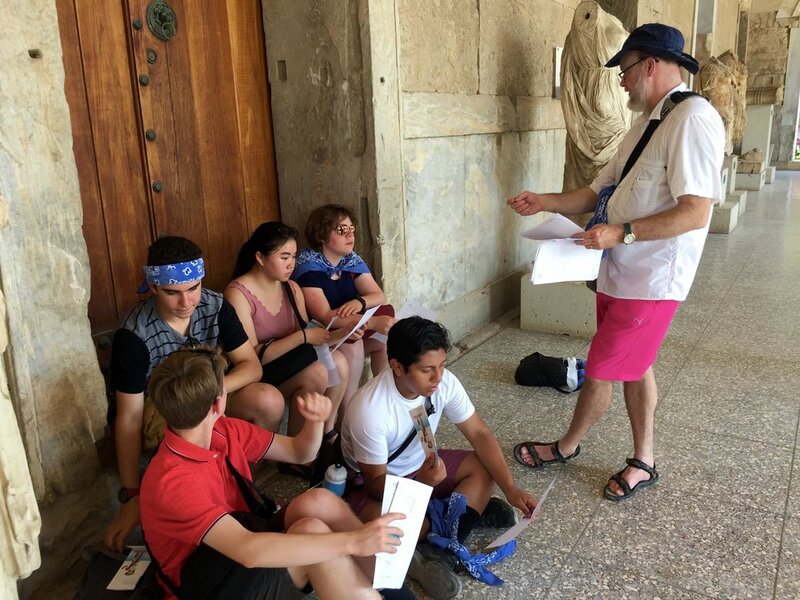 Combining their talents, Quiddity Tours takes small-group experiential learning to a new level—bringing in all creative and intellectual senses while engaging with the core ideals of our democratic, aesthetic and cultural history. Please let us know and we'll put you on our mailing list. We respect your privacy. We will NEVER share your email or private information. Promise.